Published in 8th editition of Tanzania in Focus, April 2018. The Managing Director of Kanu Equipment Tanzania, Mr Russell Cleminshaw, in an interview with Krest Publications, explained the company’s strategy to assist steady growth in Tanzania’s vast agriculture sector. When did you start Kanu Equipment operations in Tanzania? We started from a zero base in June 2017 – with no premises, no staff and no vehicles. Wow! That’s not yet a year ago! What have you managed to achieve in this short time? We were fortunate to recruit a small core team with good background knowledge and experience within Tanzania. These staff members helped us to set up the foundations for the business very quickly. Our Head office had ordered a range of smaller (55 to 95 hp) tractors and we immediately got down to business exploring the appropriate markets. What did you discover with your market exploration? We were amazed to find such vast territory within a country just at the forefront of its agricultural development. Imagine 9 450 000 hectares, of which 60, 000 is water, an exciting mix of bio zones, 45 million people and a growth rate of 2.9% per annum. 80% of the population are engaged in agriculture, albeit dominated by small family operations, working on allocated land. Nonetheless, these farmers dominate the economy and contribute 40% of the GDP. The Government is playing its part in helping these, mainly subsistence farmers, to reach up and grow their businesses. Recent reforms have included the liberalisation of crop marketing, formalising the supply of agriculture inputs and helping the cooperative societies to join the revolution. The launch of the Tanzanian Investment Center and, more recently, a Government based bank focussing on agriculture have assisted farmers to make significant improvements in their businesses. Tanzania was, on average, only using 8 kg of fertilizer per ha compared with world average figures of over 100 kg. This has been improving year by year strengthening their ability to grow and demand more and more modern farming equipment. Post-harvest crop losses (initially of the order of 40%) are on the downward trend. 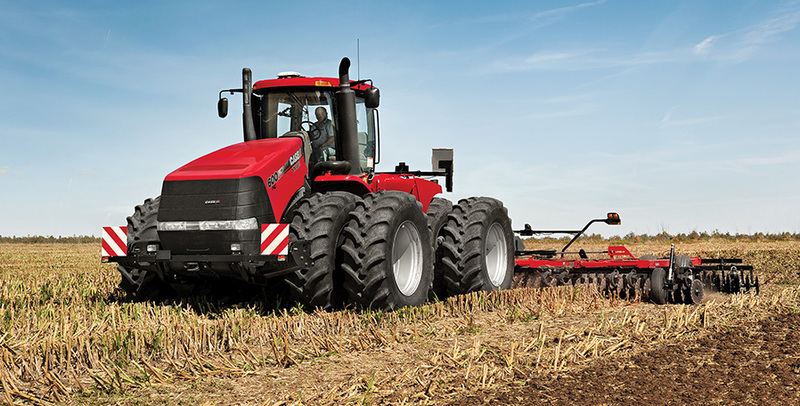 Tanzania has shown steady growth in the past few years unknowingly preparing us for the launch of the Case IH brand in Tanzania. What did you focus on in order to get the business up and running? Our business model is based on service. In accordance with this fundamental value our staff have received the necessary product training and are motivated to extend the companies’ core values with an attitude of service excellence in support of our customers’ needs wherever they operate. Case International have continued to be very supportive in keeping us up to date on the many facets of this business. For example, technical training was done in Dar es Salaam in August 2017. Key personnel were sent to South Africa for advanced training on the full range of tractors and implements. They were introduced to the Case philosophy through group workshops and practical demonstrations of the full range of equipment. A full parts training programme was completed in January 2018 in Arusha to allow us to confidently follow up on our own philosophy of “Experience the Support” to our growing list of customers. We have achieved pleasing sales results in the small tractor category and have steadily impressed our growing customer base. Kanu Equipment has achieved a lot in a small space of time, where to from here? We are ready to enter the big tractor business. Our technical team will be sent to Brazil for training later this year which will solidify our service support in this category. Our new premises, on the main road towards the Airport in Dar es Salaam, will increase our visibility and make it easier for customers to pop-in and see the brand at close range. Our plan is to reduce the cost of agricultural development in Tanzania with plans for spares and backup to be more available and accessible. We believe in honouring our relationships with local farmers as an extension of their business operations. We don’t believe that the relationship ends once the tractor is sold. These men and women will be the backbone of our growth in Tanzania and we look forward to supporting their endeavours over the long-term. Let me assure you that Government is determined to grow this sector. We have entered into general discussions with them and will be participating in the main agricultural shows that take place every year in August. We have been assured of the full support of Case IH in this regard and expect these shows to take us to the next level quite quickly. Initiatives such as SAGOT (The Southern Corridor Public Private Initiative) will increasingly become a focus of our business plan. We look forward to standing alongside Case IH in playing our part in this and other drives to turn Agriculture around. What about training for owners? We are working with Case IH towards developing a workable training programme for new farmers owning our equipment in their regions. We already offer ‘hands on’ training with the delivery and commissioning of new units. We recognise that hard working farmers (who have dug deep into their pockets to acquire most probably their very first tractor) cannot be marginalised because we have lost interest in them after the sale… our Group philosophy is completely contrary to this. We are excited to work with local farming communities and watch them grow from strength to strength. We plan to make a difference and our success will be celebrated as an extension of theirs.